Digital marketing is a game of both science and chance. There are a lot of tried truths to marketing, but there’s also a lot of risk taking involved – one strategy that worked yesterday will suddenly fail to bring in the leads you’re used to anymore, and a strategy you scrapped a year ago will help you pick up where you old one left off. This is what makes marketing so competitive. It’s about finding out who has the right strategy at the right time, edging out the competition and winning the race. A company that has had no marketing success previously can suddenly go viral and there’s nothing you can do about it – past performance means nothing in the world of marketing. While it’s true that the little guy can suddenly stumble upon marketing success, it’s also true that the big, powerful companies can also make major marketing mistakes, costing them millions. No matter if you’re working on your first start up or you’re already a global tycoon, these seven mistakes could sink you. 1. Your email strategy is too generic. You’ve probably been there yourself. You subscribe to a company’s mailing list, thinking it’ll be useful to you. Maybe offer some coupons or valuable news and information…except every email you get is just more and more spam you keep sending to your folder. Maybe it’s useful to someone? But it’s definitely not useful to you. Generic emails can kill your subscription statistics. If you don’t want to make emails hyper-unique, try to make them at least appeal to a wider audience. 2. You aren’t on social media. This one is a quick no-brainer, yet some companies are still holding out – if you aren’t on social media yet, why the hell not? When you put your company out there of Twitter, Facebook or Instagram, you’re expanding your audience pool. Isn’t that the point of marketing in the first place? Not to mention it’s extremely cheap to market on social media compared to other forms of advertising. 3. Your strategies lack cohesion. One pratfall that many businesses fall into is separating marketing departments. Sure, you have email marketing, social marketing, in-person marketing – and all of these elements need to work together. Make sure that all your marketing efforts are helping each other. Disjointed campaigns aren’t successful campaigns. To prevent this, schedule meetings regularly between your teams and figure out how they can all work together more cohesively. If your marketing is all located within one team, figure out where the disconnect is, fix the problem and reap the benefits. Customers don’t like it when they feel like they’re being pushed into a decision. When you tell them and direct them to do something, they feel like they have no choice. This leads to many negative lines of thinking – is this a scam? They just want my money. This isn’t something I need to do! When customers start thinking like that, you’re sunk. Instead of demanding an action, ask them about it. When you ask questions in marketing, you give your customers opportunities, which makes them more comfortable. 5. You aren’t testing enough. Want to know why your recent marketing strategies have been missing the mark? It’s because you haven’t been properly testing them like you know you should. Each marketing strategy you come up with should have a testing period – whether you push it out and see how it does, or you try with a sample audience first. Every time your marketing strategy fails, you should be able to run some basic diagnostic tests on it – why did it fail? How can you prevent this in the future? Just because you’re digitally marketing doesn’t mean your marketing doesn’t need to be professional. Many people assume that because it’s the Internet and most users don’t abide by proper grammar rules, it’s okay if their business tweets are a little misspelled every now and again. Here’s a tip – other Internet users live based on a very “do as I say, not as I do” principal when it comes to businesses they follow. They may be allowed to flub up with typos all the time, but they hold their businesses to a different standard – and why shouldn’t they? You have to hold your business’ content to a higher standard. You also don’t want to cause any misunderstandings because you leave the vowel out of a word or something similar. 7. Thinking offline marketing will work online. Offline and online marketing are two totally different animals. There’s the obvious difference – one being in real time and one being digital – but the differing factors go beyond the method of reception. What you need to learn is that this is the 21st century and millenials, who will be staring at your marketing efforts more than anyone, are of a generation that thinks they’re above marketing schemes. They know the commercial is lying when it says these are the best jeans in the world – you have to go beyond that. 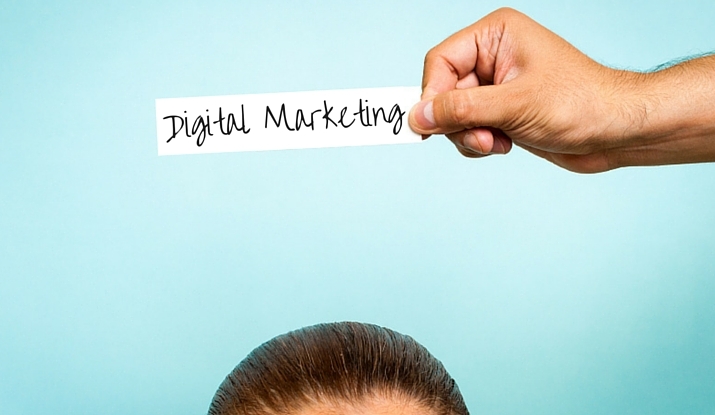 Digital marketing is about two things: 1) relevance, and 2) understanding. Your digital content has to be relevant with current demographics and it has to know who it’s talking to. Don’t try to pull the same gimmicks you see in print ads and conferences on your Twitter timeline. It just won’t work.